Leftover Fajitas? Make a Fajita Crunchwrap Supreme! Have I mentioned enough times yet that my husband LOVES anything in a tortilla? In particular, he is a huge fan of Taco Bell, including their Crunchwrap Supreme. 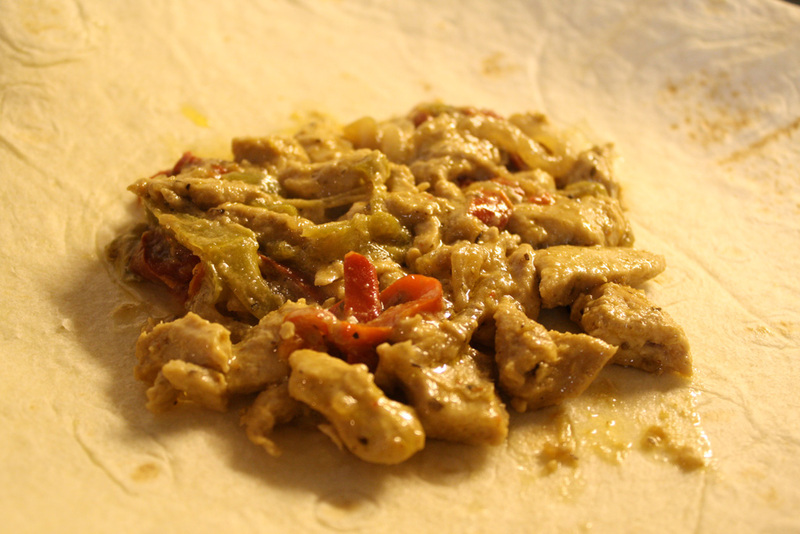 After spotting step-by-step instructions for how to make one at home, I decided to try it out with some leftover fajitas. I daresay it was even better than Taco Bell's version! Reheat two servings of the leftover fajitas. 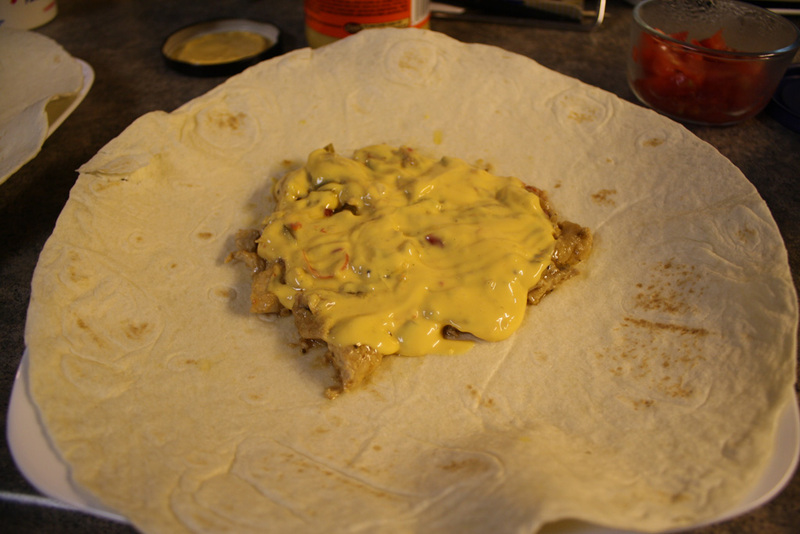 Then place them in the center of a large, flour tortilla. 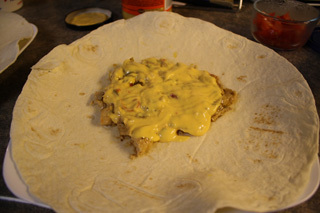 Next, top the fajita filling with the salsa con queso. Spread it evenly using a rubber spatula. Break a hard shell in half and place on top of the cheese dip. The spread sour cream on the top of it, again using the rubber spatula to spread evenly without breakly the shell. Top with lettuce and tomato. Then wrap the shell starting from one side, folding toward the middle and bringing in a small chunk to the middle until the whole tortilla is wrapped. 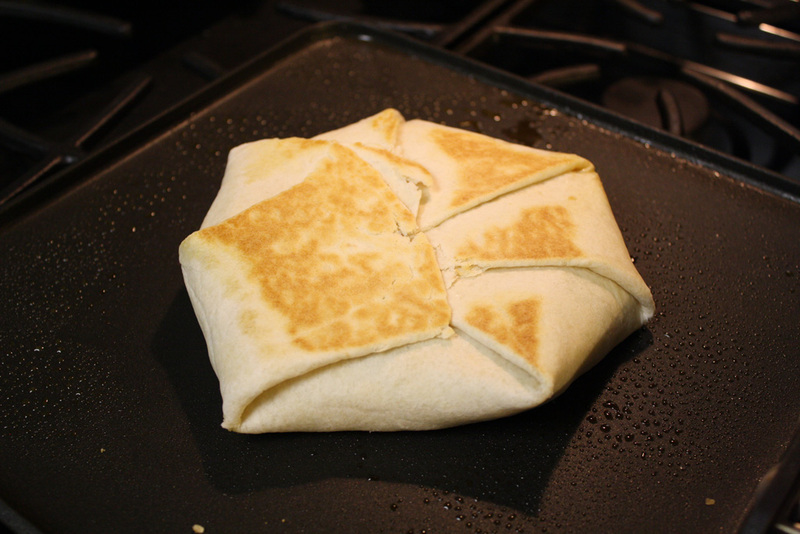 Place the Crunchwrap folded side down and cook each side for 3-5 minutes on medium-high heat, or until golden. You may either cook on a griddle or in a heated press with flat plates (ex: Foreman Grill with flat plate attachments). 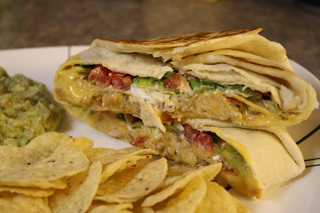 To flip the Crunchwrap, Casa de Lindquist recommends using two spatulas so that it stays together. 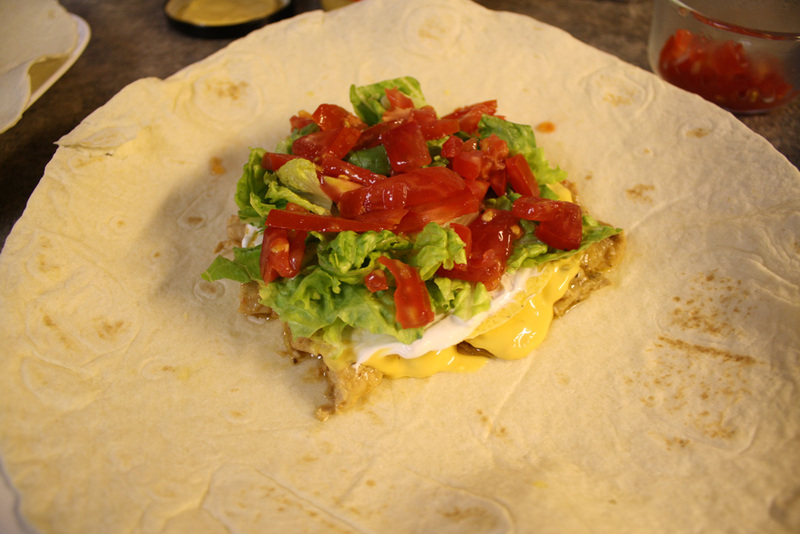 Once your Crunchwrap is cooked on both sides, you are ready to eat! Serve it with a side of chips and salsa or a salad. You can't go wrong with this tasty meal. Enjoy!